When it comes to picking an eco-friendly holiday you could do a lot worse than remember Ratty’s advice from that childhood classic, Wind in the Willows – there really is “nothing – absolute nothing – half so much worth doing as simply messing about in boats.” As a means of travel, boats can lay claim to some impressive green credentials – and a yacht under sail must surely be the ultimate in renewable-powered transport. Aside of being one of the most environmentally sound ways to travel, a boat also offers both a relaxing break from the pressures of everyday life and the opportunity to experience the places you visit in an entirely unique way. A boating holiday is quite unlike any other – but be warned, it can become addictive! In Britain, you are only ever about 70 miles from the sea ; add to that the 3,000 miles of canals and navigable rivers that make up our inland waterways and it becomes clear that it is not too difficult to find an opportunity to get in a boat. The main canal network is extensive, having been originally constructed some 200 years ago to transport materials and goods to and from the new factories of the then blossoming industrial revolution – before it lost its role first to rail and then to road. Canals join North Yorkshire to the south of England and run westwards through the Black Country and the Staffordshire Potteries to Wales; there are also separate systems in both Scotland and Ireland. With increasing numbers of people looking to reduce their holiday impact by staying nearer to home, this easy access to inland waterways makes a boating holiday hard to beat. Once the motorways of the day, canals are now almost exclusively used for leisure – carrying more boats today than ever. A self-drive narrow boat – sometimes wrongly called a “barge” – is the typical floating holiday home, hired from specialist firms such as Blakes or Viking Afloat. Some centres offer training holidays where you can really learn about handling a canal boat, but the hire company will give you some basic instruction and – importantly – show you how to work locks, so experience it is not essential. Once those formalities are out of the way – off you go! It may sound a daunting prospect, but it seldom takes long to get the hang of things and with a maximum speed little faster than a moderate walk, there is usually more than enough time to avoid any problems. In many ways, this is a major part of the whole canal boat charm –travelling only around 20 miles a day, at about 4 mph and taking 15 minutes or more to get through a lock, it really is hard to get too stressed about life! 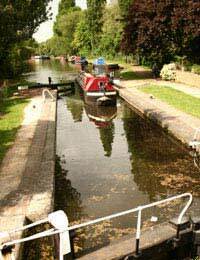 The options for a boating holiday are not limited to Britain’s canal network. If the idea appeals, but you fancy going further a-field, a number of companies also offer similar holidays on some of the inland waterways of other European countries, including France, Ireland and the Netherlands. Alternatively, you could try a motor cruiser on the Norfolk Broads – or one of the new generations of electric boats for a really low noise and emission-free eco-friendly break. Take to the sea and the possibilities get even greater – ranging from a full blown cruise to learning to sail. Many places around the coast offer instructional holidays, but you can always opt for a teaching holiday at one of the marinas along the Adriatic, for instance, if you prefer somewhere a little warmer. Boating holidays are not just for active, “hands-on” types, however. If simply enjoying the ride is more what you had in mind, then there is plenty of opportunity to do a little island hopping – choosing islands in the Hebrides, Aegean or the Caribbean, depending on your preference and your purse. Whether you go for gently chugging along the canals or flying before the wind off some beautiful stretch of coastline, there are few holidays likely to put you in touch with the environment in quite so direct and personal way. Best of all, from our own inland waterways to the warm waters of the Mediterranean and beyond, there is a boating holiday to suit just about everyone. Whichever way you look at it – Ratty was right!